Silent heart attack (silent ischemia) has been found to leave scars on the heart. A silent heart attack is a heart attack with minimal, if any, symptoms. For this reason, it is difficult to know when you are experiencing a heart attack, which can lead to further complications an even death. Some reports of silent heart attack suggest it is often confused with indigestion or even a bad flu. Having a silent heart attack puts a person at greater risk of experiencing a future heart attack. The only way to determine if you are experiencing a silent heart attack is through an electrocardiogram, echocardiogram, or another imaging of the heart. Is a silent heart attack dangerous? When we imagine getting a heart attack, most of the time we picture ourselves in agonizing pain while we clutch onto our chest as we keel over. We think that it will be an obvious show of distress that anybody will recognize, sending help as soon as they see what has happened to us. Sadly, getting a silent heart attack may not be so dramatic, as it can have a more subdued presentation and is deemed a “silent heart attack”. Just like the name implies, experiencing a silent heart attack means that expected symptoms like shortness of breath, chest pain, and cold sweats are not present. You may brush it off as some minor heartburn or some other chest discomfort, not realizing that your cardiac muscles are becoming damaged. Symptoms of silent heart attacks are minimal or none at all, but still have all the negative consequences of having a more recognizable myocardial infarction. Blood flow to a section of the heart is temporarily blocked and can cause scarring and damage. This can lead individuals to neglect to go to see a doctor as they assume nothing is wrong. The research teamed analyzed images of 1,800 hearts from a diverse group of individuals who did not have heart disease. After 10 years, the participants underwent heart imaging again, which revealed that eight percent of the individuals had scars on their heart, signalling that they experienced a heart attack. Men were more likely to experience silent heart attacks compared to women, and other factors that contributed to heart scarring were smoking, being overweight, calcium-deposits and the use of blood pressure medication. 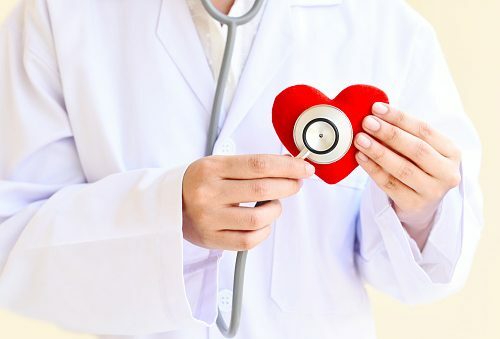 The researchers suggest that EKG performed in doctor’s offices can only detect small percentages of silent heart attacks and suggest that healthy lifestyle habits are necessary to reduce the risk of cardiovascular events. A silent heart attack occurs when oxygen to the heart becomes reduced. There are many reasons why oxygen may not reach the heart, including an obstruction in the arteries due to plaque build-up. The risk factors listed above can also contribute to the onset of a silent or normal heart attack. A heart attack, silent or normal, is a medical emergency and requires immediate attention from a doctor. Get yourself to a hospital as quickly as possible at the first sign of a heart attack. At the hospital, you will be put under oxygen therapy to prevent your heart from overworking itself. Medications like aspirin, morphine, and nitroglycerin can be administered in order to relieve pain, open up blood vessels and lessen the detrimental effects of a heart attack. You will be continually watched and looked after to avoid any potential fatal complication.